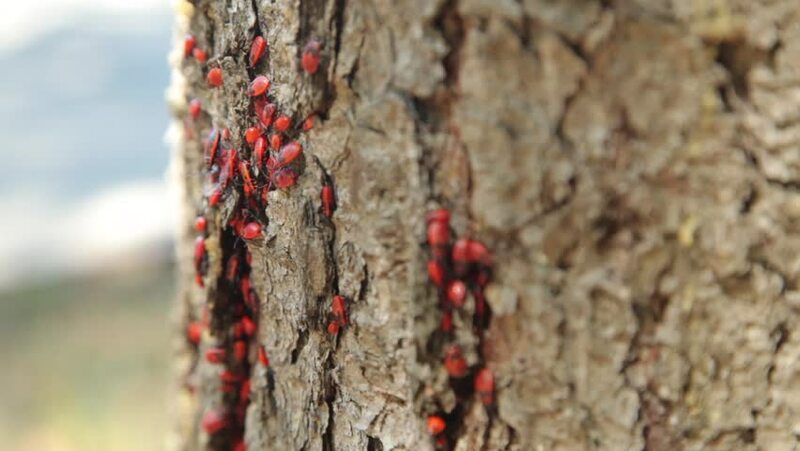 hd00:48Colony of firebugs (Pyrrhocoris apterus) on a tree trunk. The firebug, Pyrrhocoris apterus, is a common insect of the family Pyrrhocoridae. hd00:11Ashberry covered with snow. Snowy forest on winter time, sun shines. Snowy winter trees.